What a week we have had! World Book Week kicked off with a BIG BOOK Breakfast for Lower and Upper KS2, a total of 90 children enjoying themselves early in the morning. On Wednesday and Thursday the children enjoyed a delicious breakfast of cereals, toast and even pancakes with chocolate sauce! They bought their favourite book with them and discussed it over a glass of juice. Later on Wednesday the children were able to visit the BIG BOOK SWAP. The children were asked to bring a book in to swap and they then got to choose a new book to take home. The atmosphere in the Infant Hall was magical, the children couldn’t believe the choice of books there were. Thank you to all those who donated books, the children left with a new book in their hands and a smile on their face. World Book Day finally arrived at Cotteridge and on Friday we saw both staff and children arrive to school in their fabulous pyjamas! 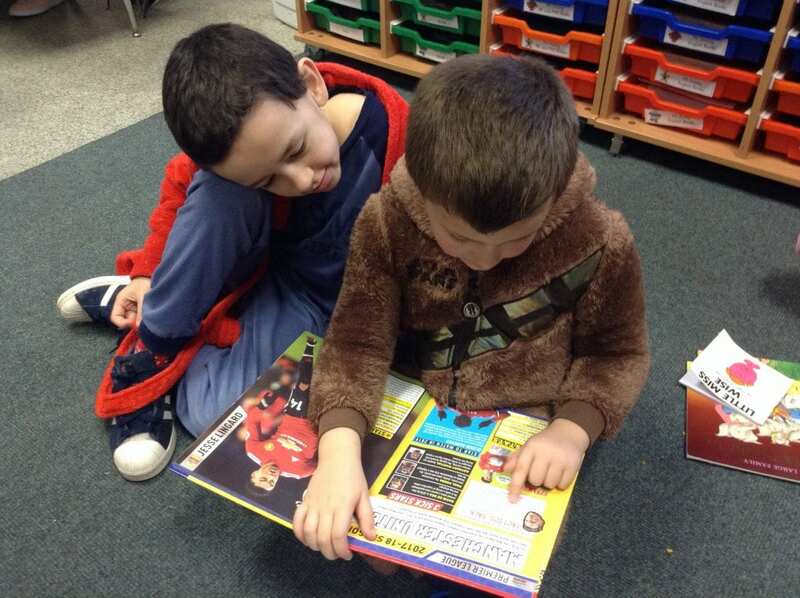 Children had a great day taking part in reading activities such as Drama, scavenger hunt for characters and reading with other children from different classes. Finally, World Book Week finished with EYFS and KS1 enjoying Bedtime Stories. The children were read stories by the staff next to a cosy fire and twinkly lights. During the stories they enjoyed hot chocolate and cookies. We have had a wonderful week, keep reading!